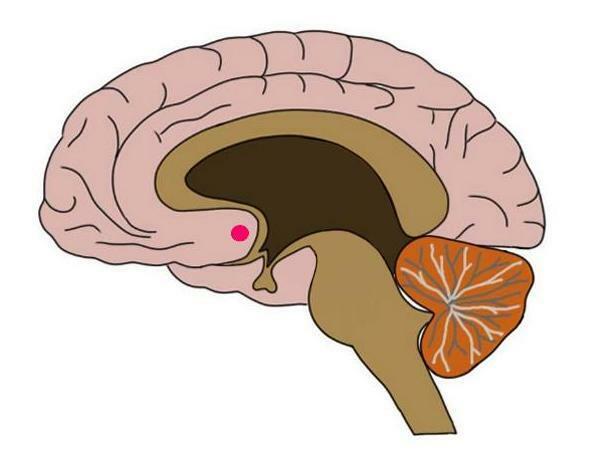 the nucleus accumbens, the major component of the ventral striatum, represented by a red dot. part of the striatum made up of the nucleus accumbens and olfactory tubercle. The ventral striatum is thought to be involved in reward processing.